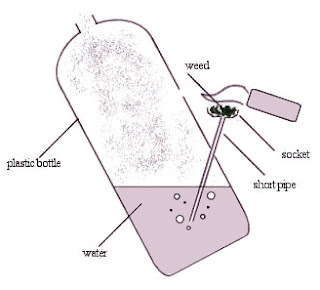 MARIJUANA BLOGS & RESEARCH: How to make a simple bong! 1. Make a hole for the pipe about 1/3 way up bottle and insert pipe so pipe is bending down into the bottle. 2. Put the socket in the end of the pipe outside the bottle. 3. Make a smaller hole in the bottle above the first hole. 4. Fill bottle with water so that pipe is in water, but water level does not reach the hole.